A gorgeous gift set for mum and bub! 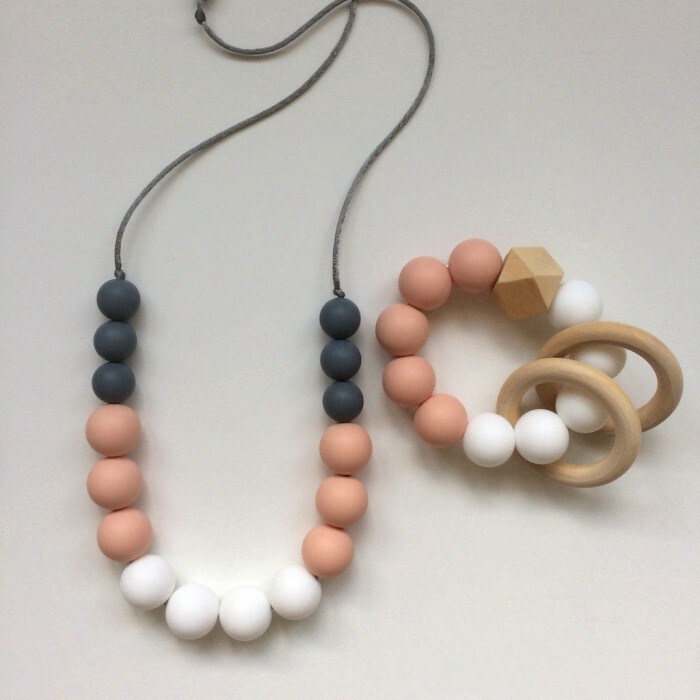 Features a Jambu beads Peony Necklace and one of our popular Duo Rattle Teethers for the little one. The perfect gift for a baby shower or new baby arrival! 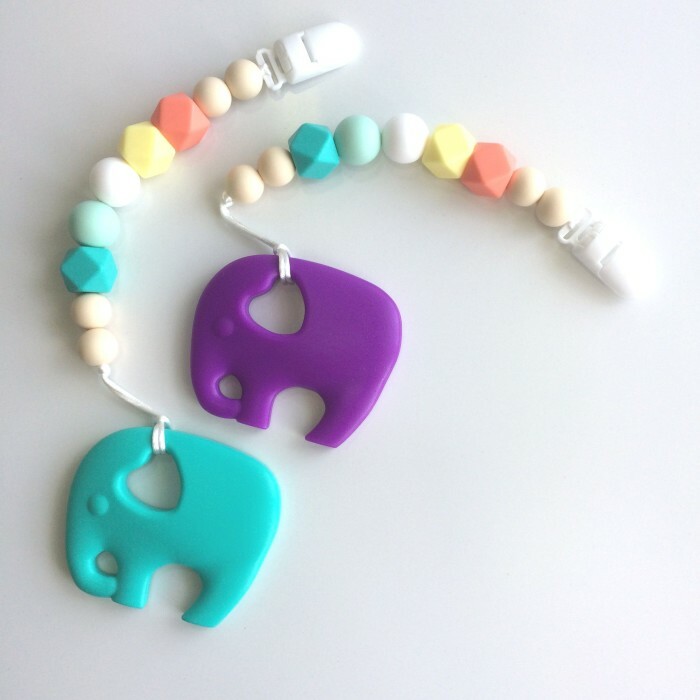 Jambu beads teethers are made from 100% BPA free, non-toxic food grade silicone and natural, unfinished maple wood. Easy for little hands to hold and the perfect texture to help soothe tender gums. SKU: JMB-Gift Set-Peony. 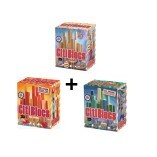 Categories: *BUNDLES*, teething jewellery, teething toys. Tags: babyshower gift, gift set, mum gift, teething jewewllery, teething toys. Spoil yourself or someone you love with a Jambu beads Gift Set. 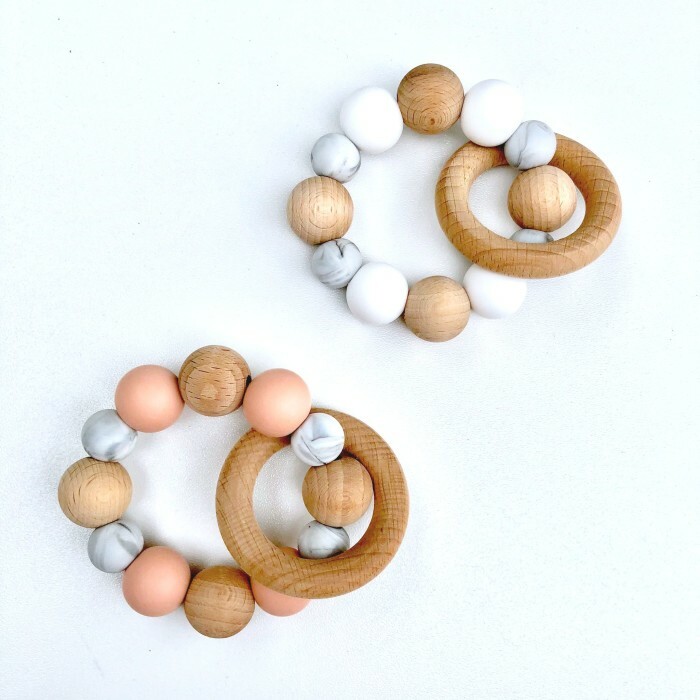 Our gift sets come in a range of beautiful combinations – a necklace and bangle set just for mum, add a teether for your baby, or select a “mummy & me” matching necklace for your little princess (suitable for ages 3+)! All Jambu beads products are made from 100% non-toxic food grade silicone. Free from BPA, PVC, Phthalates, lead, cadmium and heavy metals. Our wooden products are made from natural, untreated maple wood. Naturally anti-bacterial, non-toxic and non-allergenic. Our wooden products are made from natural, untreated beech wood. Naturally anti-bacterial, non-toxic and non-allergenic. IMPORTANT: Use under adult supervision at all times. The necklace is not a toy and is designed to be worn by adults only. DO NOT leave a baby unattended with these products as they contain small parts that can pose a choking hazard and the necklace contains a long cord that is a strangulation risk. The cord and clasp are not designed to be chewed on. Chewing these items may compromise the integrity of the parts and result in breakage. 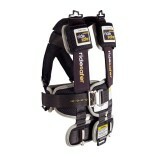 Inspect the product for signs of wear before each use and discard any item that has been damaged.